40 Days in the Word is a spiritual growth campaign that we launched in 2017! Over the 6 weeks of the campaign sermons, ministries, and our LIFEgroups are aligned around the 40 DITW material. Sign up to attend a LIFEgroup and purchase your workbook! 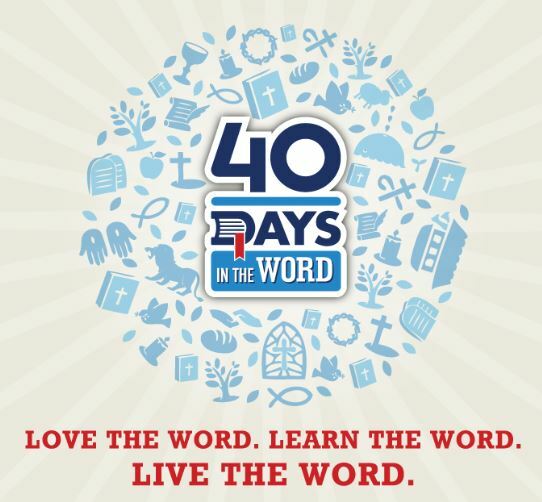 Complete the daily 40 DITW devotional in the Study Guide and watch the daily video devotions. TO LOVE THE WORD. LEARN THE WORD. LIVE THE WORD!